LOS ANGELES, CA. (March 26, 2013) - Yippee Ki Yay, John McClane is back, this time with his son and twice the excitement. Keeping audiences on the edge of their seats for 25 years, the latest chapter of the popular action franchise delivers the thrills and the ultimate father-son action duo as A Good Day to Die Hard debuts on Digital HD on May 14 and on Blu-ray and DVD June 4 from Twentieth Century Fox Home Entertainment. 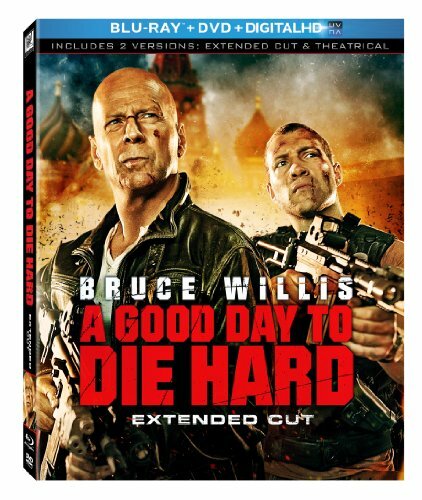 Featuring a double dose of McClane power, the film will also be available as an "Extended Edition" with over two hours of extreme bonus material just in time for Father's Day. Bruce Willis is back in action -- mind-blowing, heart-stopping, rip-roaring action -- as John McClane, the heroic New York cop with a knack for being in the wrong place at the right time. John's latest predicament takes him all the way to Russia to track down his estranged son, Jack (Jai Courtney), who has been imprisoned in Moscow. But the mission takes a deadly turn as father and son must join forces to thwart a nuclear weapons heist that could trigger World War III!